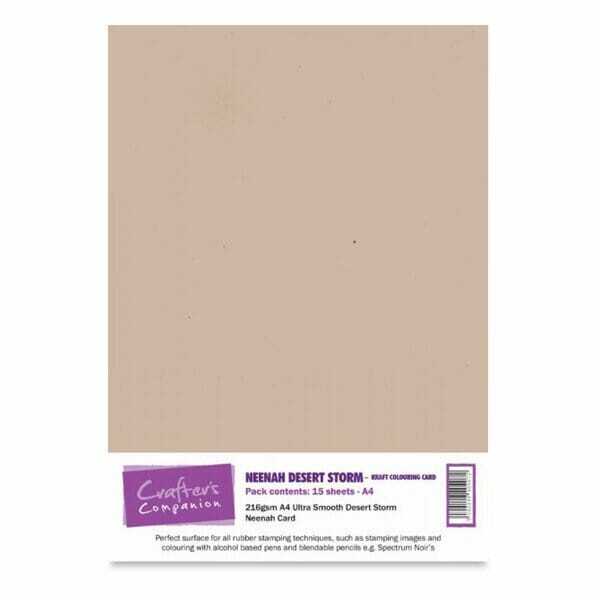 This high quality Neenah Desert Storm card is ideal for use with all alcohol based colouring mediums. This ultra smooth, kraft colouring card works perfectly well with alcohol based pens, is ideal for creating distress effects, and is great for use with digital crafting, giving a professional finish to all your projects. The pack includes 15 sheets of Neenah Desert Storm card. Weight: 216gsm. Customer evaluation for "Crafter's Companion Neenah A4 Kraft Colouring Card - 15 Sheets Desert Storm"